Inside: Check out these 5 things you can do right now to take better care of yourself! As you pick up the overflowing basket of clothes, you try to brush away the strand of hair falling in your face and tickling your nose. You reek of sweat, a combination of running around the house for the past few hours and the fact that your pajamas should have been thrown in the wash a week ago. Your kids are asleep, for now. It took forever to settle them down tonight. Requests for more water, one more book, snuggles, a snack, a story. … their requests are endless, but they are also adorable. There is a moist chocolate brownie in the kitchen with your name on it and a few episodes of Gilmore Girls on Netflix you can’t wait to devour. But first you need to get the laundry started or you will be up until midnight. It has been a day. You forgot to eat lunch again, opting to stay at your desk to put out a few more fires so that your boss would resist the urge to micromanage your team. At 3PM you realized you were ravenous. Unfortunately the vending machines were picked over– the only thing left a measly packet of trail mix and Cherry Coke. Who drinks Cherry Coke anyway? The commute home was irritating as usual. Why does the threat of rain cause so many people to lose all common sense? Fortunately, you were able to call your husband on Bluetooth and chat for a few moments. He was going to be home late.. again. Dinner would be missed. He offered to pick up take out on his way home. You asked for a brownie. That is what passes for romance between the two of you these days. You know it is pathetic… but it is all either of you have energy for. Around 930pm, you sink into the couch and scroll through Facebook. It has been forever since you have had meaningful conversation with any adult, much less one of your Mom friends. You have no energy and even though you know you should make time for exercise, the thought of sacrificing sleep to energize your day is too much. You long for that elusive balance but you feel guilty when you take even a moment for yourself at the expense of your kids. You are overwhelmed. Too many demands on your time, too many commitments, too much to do. Mama, you need to take better care of yourself! You know that right? Of course you do. But knowing is only half the battle. If you are going to be able to give your best self to your family and friends, you have got to prioritize your physical, emotional, and spiritual health. Here are 5 quick wins you can do today.. right now. Get outside: Take a few moments to connect with nature. Listen to the wind blowing through the trees. Close your eyes and feel the warmth of the sun on your face. Even a walk around the block will help clear your head. Let 7-8 hours of sleep a night: If you adopt only one good health habit, adopt this one. A good night’s sleep is linked to more focus, better productivity, and better appetite control. Laugh: Cute kitten and puppy videos are always great for a smile. Search of YouTube videos. Maybe come up with some knock-knock jokes with your kids. Laughter is free and it is the ultimate stress relief. Listen to great music: Great music can help lift your mood and energize you. It is easy to pop in a CD or pull up a playlist on Pandora. Cultivate a Gratitude Habit: There are many ways you can do this. Start a gratitude journal, contribute to a gratitude jar, pray. The point is that when you focus on what you are grateful for, it is easier to see your daily challenges through a more positive lens. Speaking of taking care of yourself, I am super excited to tell you about Mama’s Best Self, a Mommy self-care course that is starting soon. 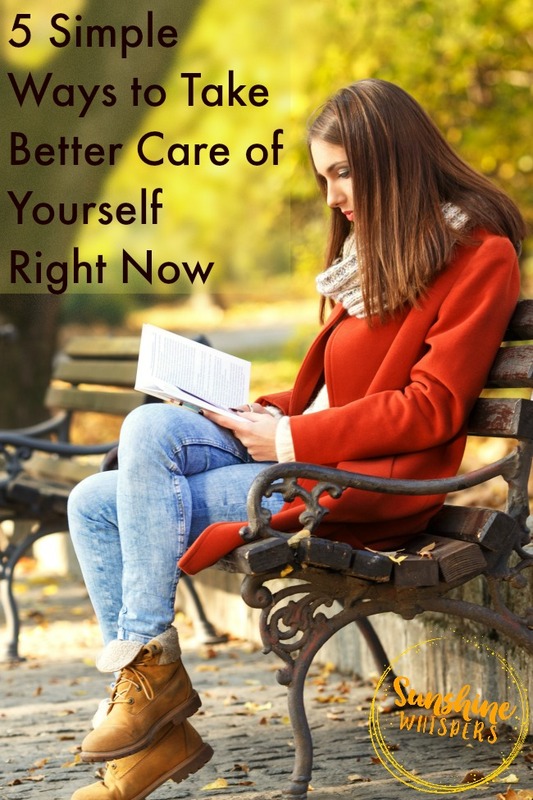 Build a self-care plan that works for you! Lifetime access to the course. Are you ready to be a happy Mom? Are you ready to take care of yourself starting today? 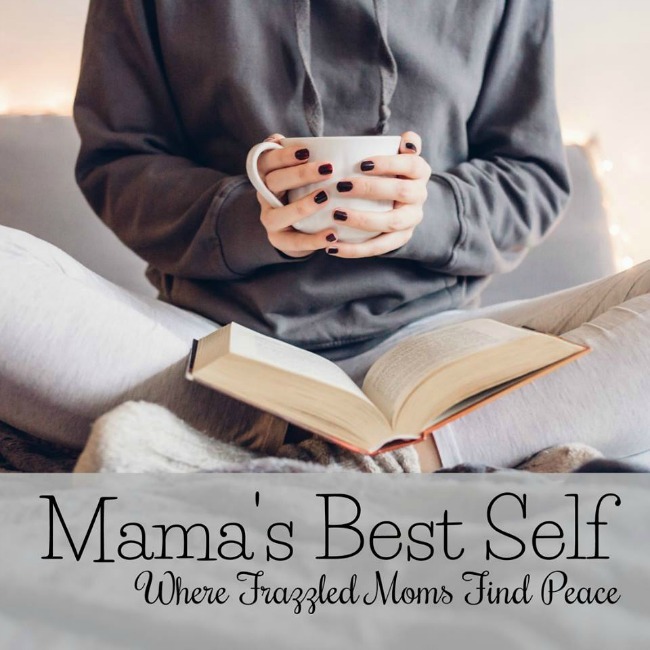 Sign up for Mama’s Best Self by November 28th (click here to sign up!) and get ready to make yourself a priority so that you can be your best self not only for you, but for your loved ones as well! Sign up for my newsletter to receive encouragement and ideas delivered straight to your inbox each week and snag this FREE guide now for ideas on how to have fun and connect with your kids today! I hate spam, so I promise not to send you any. Your email address will be kept private and you can unsubscribe at any time. Previous Post: « 4 Festive Reasons You Must Visit the US Botanic Garden With Kids at Christmas!